Trodat Rubber Stamp Company was founded in 1912 in Vienna. Trodat has over 1,500 employees worldwide. 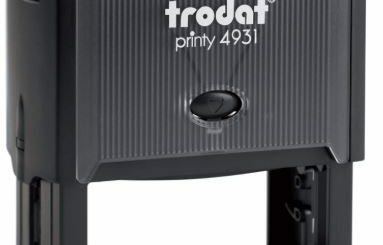 Trodat has been expanding for decades and is currently the world’s market leader for self-inking stamps. Trodat rubber stamps sells to customers in over 150 countries all over the world. The export share for Trodat rubber stamps is over 98 per cent. Trodat rubber stamp products are innovative and are suitable for every application. Addprint Rubber Stamps sells a wide range of Trodat self-inking stamps in Australia. 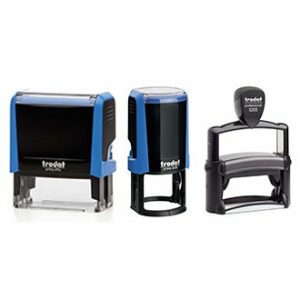 Trodat has Rubber stamps in shapes and sizes. For rectangle stamps you can get sizes starting from 26mm x 9mm (Trodat 4910) and all the way up to 81mm x 50mm (Trodat 5211). For square stamps you can get sizes from 12mm x 12mm (Trodat 4921) up to 40mm x 40mm (Trodat 4924). For round stamps you can get sizes like 19mm x 19mm (Trodat 46019) all the way up to 50mm x 50mm (Trodat 46050). Trodat Self-Inking Rubber Stamps has a variety of use. 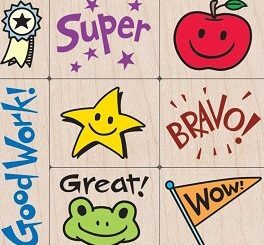 Some professionals like doctors, teachers and lawyers use rubber stamps on a daily basis. At Addprint Rubber Stamps we create custom rubber stamps for all your rubber stamp needs. The colours we offer are black, blue, red, green and violet. You ca also get Trodat self-inking rubber in multi-colour. Visit Addprint Rubber Stamps for all your Trodat Self-Inking Rubber Stamps requirements.